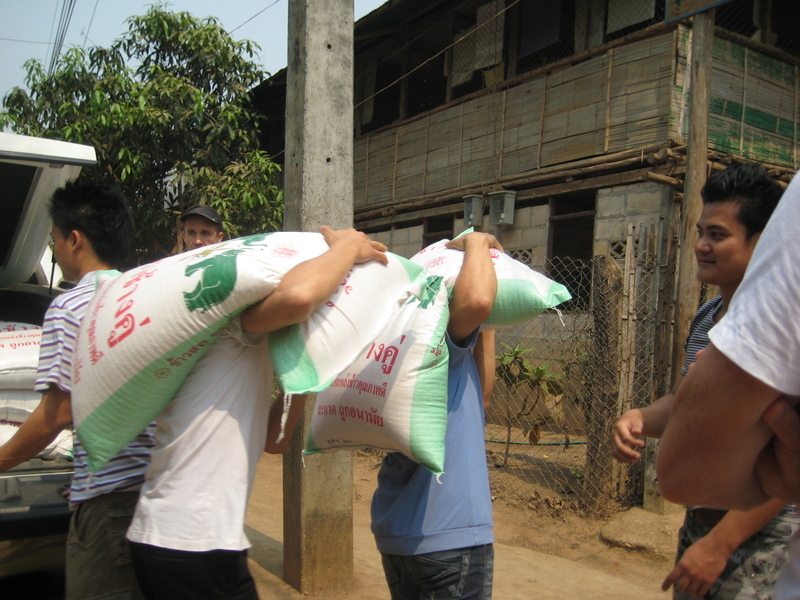 Last weekend Australian Mercy delivered another 19 40 kg bags of rice to the Mae-la refugee camp to assist with the nutritional programs for children in the camp and to supplement families in dire nutritional need who are linked into the camp’s preschool system. This delivery of rice has been made possible by our donors who are supporting our efforts to maintain rice quota the preschools and schools through supporting the nutritional programs that are being run there. The rice is delivered to the camp and Corina makes sure that the children and families in dire need receive a portion of the rice. Corina sends her thanks to all of our donors for their caring support. A bag of rice costs between $25 – 28 depending on the grade of the rice and fluctuations in the local market prices at the time. Your donation will help to feed children and families in the camp who are suffering because of cuts to the rice quota that came into force in November 2013. So far this year Australian Mercy’s donors have donated 35 bags of rice to this appeal.